To celebrate the birth of our Lord Jesus Christ and in tune with an annual tradition, I would like to invite you to read our Interactive Christmas Card. It’s been an awesome year to say the very least, blessings abound throughout the year as God’s plan continues to be revealed with each day, with each breath. Last year on this day amidst the recession I recall praying for stability, essentially violating the principle of the biblical Parable of the Talents. My wish came true, now what? With that in mind and the fact “getting by” is not the calling I’m answering to, my hope and prayer for 2011 involves both Health and Prosperity, God willing. 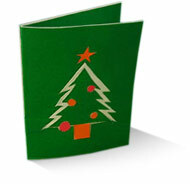 Posted in Uncategorized and tagged christmas 2010, Christmas Card, Merry Christmas.